At Mapleton's we are very proud of our products. We value honesty and creativity and encourage it in our staff and customers. Many of our customers combine our ice cream with their own speciality products to make a delicious combination. We love to hear about what people are doing with our ice cream and figured you would too! Ice cream and coffee? 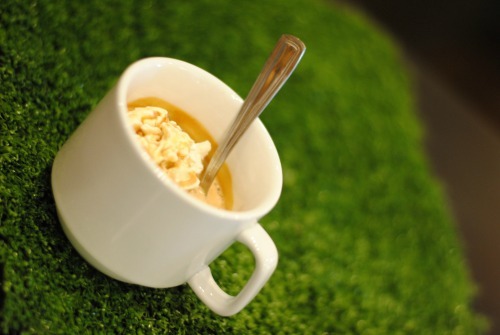 We vote yes to Eco-Coffee's Affogato. 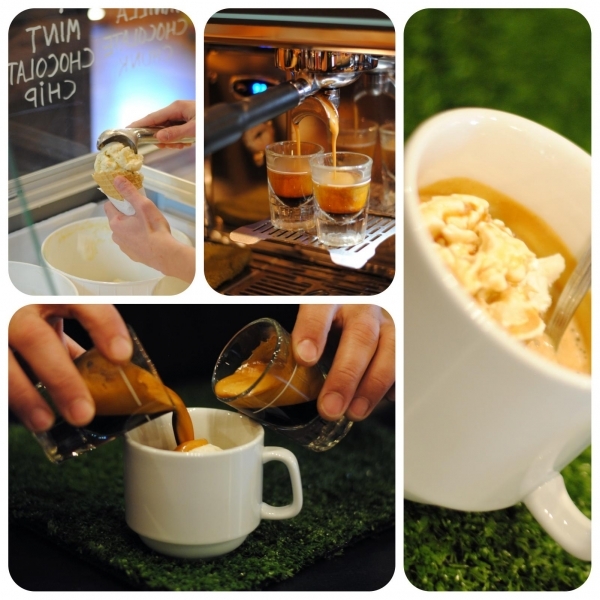 This is Eco-Coffee's very own eco-espresso pulled over a scoop of fabulous organic ice cream. With similar values of organic and fair trade products, Eco- Coffee and Mapleton's ice cream makes the perfect match. The eco-cafe is located in St.Jacob's simplistic downtown and is an absolute must stop. Read a book, play a board game or view the coffee beans beening roasted!